The Colour Doppler online quizzes with feedback let you work through the questions at your own pace and provide feedback as you go. Currently, one version of the quiz is available. 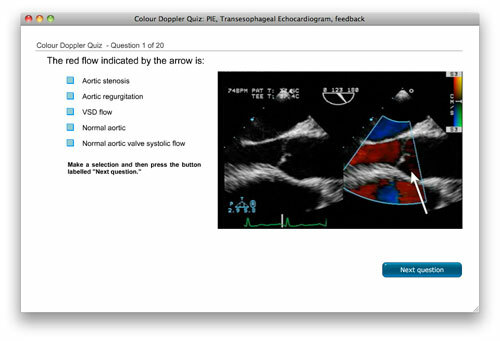 Click here to open the TEE Colour Doppler Quiz with feedback.